December has been one amazing month, and we are very grateful to have had your support this far, and commit to delivering an exemplary experience as we continue to grow. 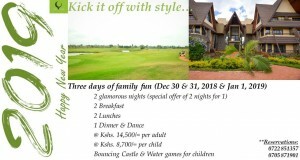 We hereby extend our invite to you this coming Friday’s Club Nite – December 21, 2018 for an amazing round of golf, some nyama & Whiskey Tasting. 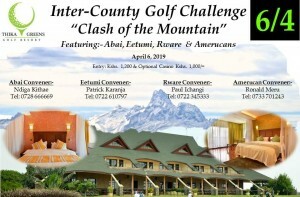 Remember to reserve your slot on the draw. 2018 is slowly coming to a close…We are thankful to God for this far that He has brought us! May 2019 bring you greatness and favor! Quality family bonding over sumptuous meals. 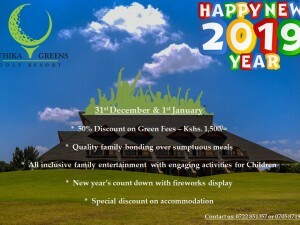 All inclusive family entertainment with engaging activities for children. New year’s countdown with fireworks display. 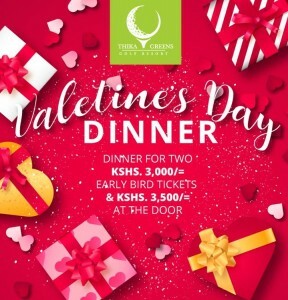 Join us for a night of romance and wine and all things lovely and divine at our Valentine’s Day Dinner and take home a 375ml bottle of Baileys for you and your valentine. 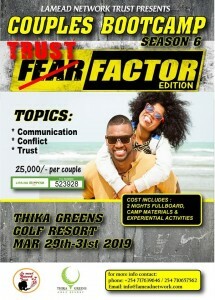 Proudly brought to you by Thika Green Golf Resort in conjunction with EABL. 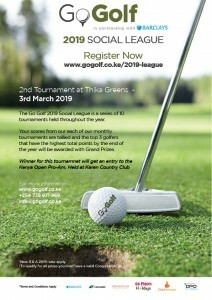 Go golf social League is a series of 10 monthly tournaments held throughout the year. 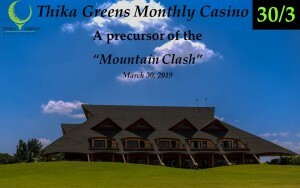 Your scores from each tournament are tallied and the top 3 golfers by the end of the year will be awarded with grand prizes. 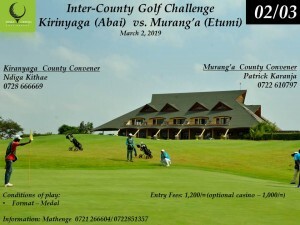 Winner for this tournament will get an entry to The Barclay’s Kenya Open Pro-Am 2019. The new R & A 2019 rules apply.